In the beginning, driving along interstates or freeways can be daunting. Get skills to drive better - watch the video. Hi there smart drivers, Rick with Smart Drive Test talking to you today about how to navigate freeways, interstates and limited access highways. I had a comment from Tuffyute Productions, and he wanted a bit more information about how to navigate along a freeway. He had just recently gotten his license and wanted a bit more information about that. Little doubt that some of you are having some challenges with that. When I first became a trainer, I took a truck driver down through New York State. We we're heading into Pennsylvania and I crawled in the bunk to get some sleep. 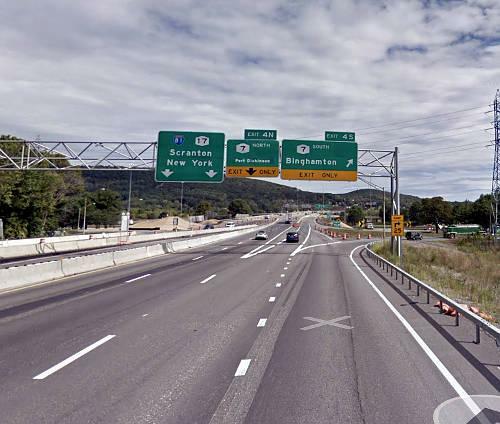 I said to him, "there's a big junction in Binghamton, NY where it intersects with State road 17, which runs east-west through New York state. And it intersects with Interstate 81. And as many of you know, some of the Interstates - the state roads will continue along the Interstate - then you get back off the Interstate and continue along the state road. Well at that Junction he had gone down there and missed staying on Interstate 81 south, and ended up going west on 17, which was completely the wrong direction that we wanted to go. And I said to him - you're going to need to get the truck turned around and head back to the junction because we've got to go down on I#81 south, not on 17 west. So I'll give you a bit of information today and you're going to find out that, especially in the United States on the Interstate systems, they're incredibly well organized for travelers traveling at high speed. So you can navigate the interstates and freeways and all this information applies to Canada and Australia and other parts of the world that have freeways. So stick around, we'll be right back with that information. Hi there smart drivers, welcome back. Rick with Smart Drive Test talking to you today about how to navigate freeways, limited access highways, and interstates. Most of this is going to be about interstates in the United States because Tuffyute productions in the United States and he wanted to know how to navigate interstates in that country. 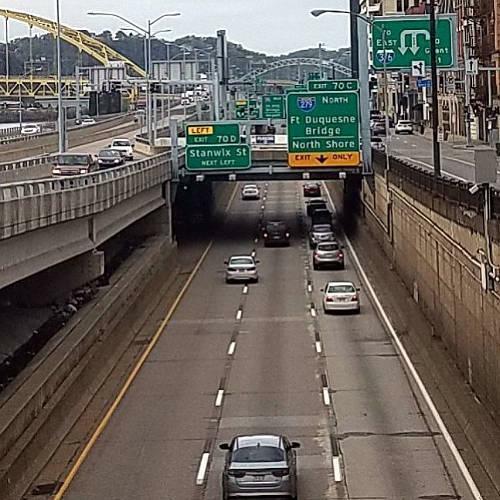 What is a Limited Access Highway? Most limited access highways and freeways all have the same characteristics: traffic traveling in the same direction at high speeds. 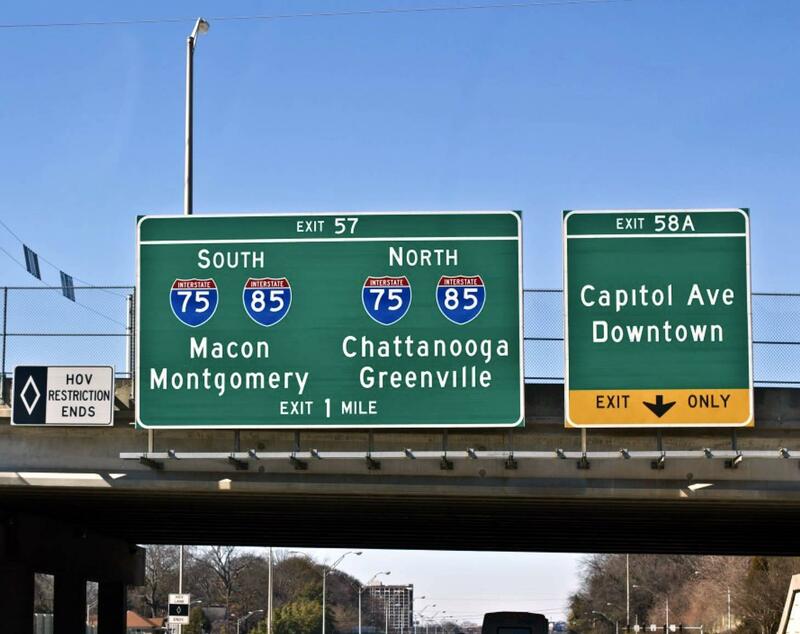 Most of the signs on freeways and interstates will be overhead because they're easier to read as you're moving down the freeway at high rates of speed - often in excess of a hundred kilometers an hour or 60 miles per hour because signs along the roadway are more difficult to read than overhead signs. So most of the signs are overhead. Traffic traveling in the same direction - they have lots of overpasses to facilitate movement of traffic and there aren't any intersections. If the multi-lane road that you're on has intersections it's not a freeway - it's a limited access highway. There's only certain places that you can get on and off the interstate or freeway. I not learned that once in Ohio with the truck trying to get back on the interstate and realized that there's are very specific places that you have to go in order to get onto the freeway or interstate. As well, there's deceleration and acceleration lanes that run up beside the lanes of traffic that allow you to attain speed or too slow down. The off-ramp or on-ramp is the part of the road that transitions from the freeway out onto the state or provincial road or other secondary road that you're going to get onto. So these are the characteristics of freeways. And interesting enough, when motor cars began to ply for road space in the early 20th century, Punch magazine in 1906 caricaturized, which means that made a comic of, motor cars on roads all by themselves. And at that time people thought that was absurd! But in this day and age, this is what we have - we have highways and freeways that only have cars on them. And it's only for cars - you won't see cyclists and pedestrians and slow moving vehicles as well - that's another characteristic. The United States interstate system is systematic: odd-numbered interstates run north-south and even numbered interstates run east-west. The numbers increase as you move west to east. So in the west - down the west coast of the United States you have interstate 5 and in the east you have interstate 95, which runs north to south along the east coast of the United States - the eastern seaboard as it's commonly referred to. And in the south they run east-west. It starts with interstate #8 is down there as well, but interstate 10 is the one in the south that runs all the way from west to east or east to west whichever direction you're going. And in the north we have interstate 90 and interstate 94 - so they start in the south and they increase in number as you go north. 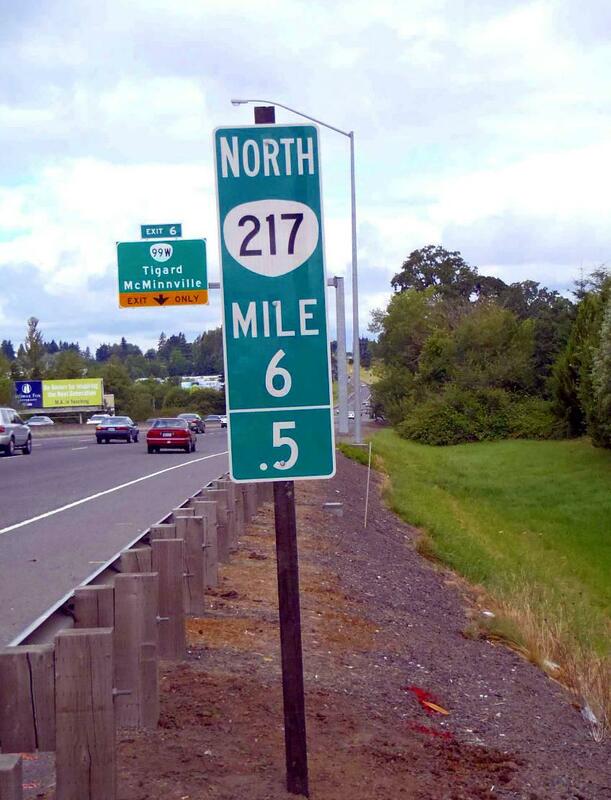 And one of the reasons for this - the other thing that coincides with the numbering system of the United States' interstate system is the mile markers. The mile markers start in the south and increase in numbers as you go north. Cincinnati, Ohio, for example, the mile marker start at 0 in Cincinnati and go to #214 in Toledo, OH in the north. Most United States interstates are numbered with two digit numbers and those are the main arteries that run north-south east-west. If it's a three digit number on the interstate, it indicates that it is a ring road around an urban center, it's a spur road, or it's a circumferential road, which means that it's a half loop. So it starts at one side of the interstate and connects back up with the interstate. If it is an even three digit number--so it starts with an even number at the beginning, so 495, 475 for example-- it indicates that it is either a ring road or circumferential road. If it is an odd number at the beginning of the three digit number, then it is a spur road as 170 in St. Louis, Missouri. That indicates that it's a spur road and it's going to start and it's going to terminate. Either at another road or it's going to go into an urban center, for example. So those are three digit numbers and they indicate different types of interstates and from that you can know that you may end up in high-density traffic or congestion - those types of things because you're moving in and around urban centers where there tends to be a lot more traffic. So that's the way the United States interstate system works. Now all interstates and freeways all have exit numbers and the exit numbers are also the mile marker numbers as you can see here in the image. And the mile markers are probably the most important tool that you have for navigating along interstates and freeways. And in this day and age of GPS (Global Positioning Satellites) and Google maps and all of the other navigational tools that we have, it is important that you get the mile marker number for the exit where you're going to get off the freeway. I know that all these exits have names and whatnot, but the names can be confusing. 2) the second part is navigation. Navigation is the execution of the route plan. And in this day and age of Google maps and GPS and those types of things, it's important that you take a few minutes before you actually set out on your trip and actually study Google maps and write down the information - don't just print it out because if you just print it out, none of that's going to go into your head. And remember, you're trying to get all this information when you're traveling down the interstate 55 or 70 miles an hour. So have a little bit of it in your head - don't just rely on your GPS to tell you, because you know, not all the time is GPS correct. The most important tool that you have in navigating along freeways and interstates and limited access highways are mile markers. In most states, except New York, the exit numbers line up with the mile marker numbers! And it's important that you get the mile markers for the exit that you're going to get off the interstate with. Mile markers and exit numbers are one and the same thing. Mile markers on the interstate system in the United States start in the south of the state and then increase in numbers as you go north; they also start at the west side of the state and an increase in number as you move east. So that's how the mile marker numbers work. And again I said the exit numbers are one in the same as the mile markers so get your mile marker written down - know which exit number you're getting off the freeway with. And as well, the mile markers are also a defensive driving tool because they will help you drive defensively. Because if you're at exit number 365 or mile marker exit 365, and you're getting off at 375, you know that you've got 10 miles or 10 kilometers to go down the road before you have to exit off the freeway. Now the other piece about navigating along freeways is that lots of times there's junctions with one interstate to another interstate or freeway with another freeway. 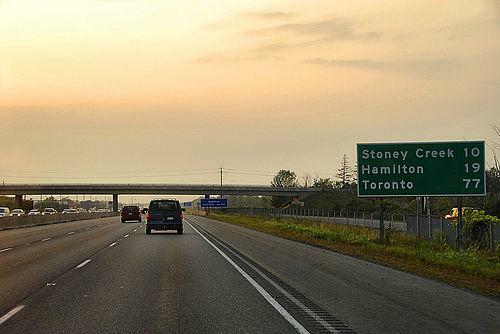 For example, the #403 in Ontario, Canada intersects with the #401 and there's a junction there. And you'll be able to get the exit number of where those two freeways intersect and know there's a junction. As well, as you're traveling down the interstate sometimes where you exit to get off onto the other road that you want to get onto is not always going to be on the right. Sometimes it's going to be on the left - my left - your right. [CHUCKLING] So as you're going down the interstate or the freeway, make sure that you're under the arrow of the overhead sign that tells you which lane you need to move into. Get into that Lane as soon as possible. That way you're not going to end up off the freeway - off somewhere where you don't want to go! You're actually going to end up going where you want to go! So get into the lane as early as possible. That way you're not going to end up lost. And what we're going to do here is, I'm going to go to the computer and go to Google maps and I'm going to show you how to route plan a route from point A to point B. That way it's going to give you some information about how to do that, and then the execution of the route plan is actually fairly straightforward. So let's head over to the computer. Hi there smart driver, at the computer here. We're planning a trip from St. Louis University in St. Louis, Missouri back to our home in Indianapolis, Indiana. Google Knows Where You Are! And the address of our home is 1131 Shelby Street. And the reason I am using that for Indianapolis is I typed residential address into Google and that's the address that Google gave me - so if you live at 1131 Shelby Street, Google knows where you live... [LAUGHING] Big brother is watching! So we type this into Google and we can see here there are some yellow circles, with obviously the "man feeding whale" sign here, which would be AKA, the construction sign. If we zoom in here a little bit we can mouse over that and it will say construction zone roadwork on I-70 east. And we zoom in a little bit more, we can see it's at approximately exit 62. So you know that on your route as you move to east from St. Louis to Indianapolis. And you can see here that there are two or three construction zones there. That will give you information. As well, you can send the "directions to your phone" - you can see here on the left and you can see that the distance is 244 miles from St. Louis University to Indianapolis. And it's a time of three hours and 41 minutes. And if you click on details here, it will give you the specific details of how to get there. And it will give you the specific details for each leg of the trip from the University out onto the interstate is three minutes; and from St. Louis to Indianapolis on the interstate is three hours 34 minutes; and we can see that once we get off the interstate in Indianapolis, it's six minutes to 1131 Shelby Street. Now we just have a quick glance here at the route and we can see that Effingham, IN is about half way. And we don't feel like doing three hours and 41 minutes of driving in one shot - i mean we could, but you might as well take a break. And if we just look at the interstate here we can see that there's a huge junction here. 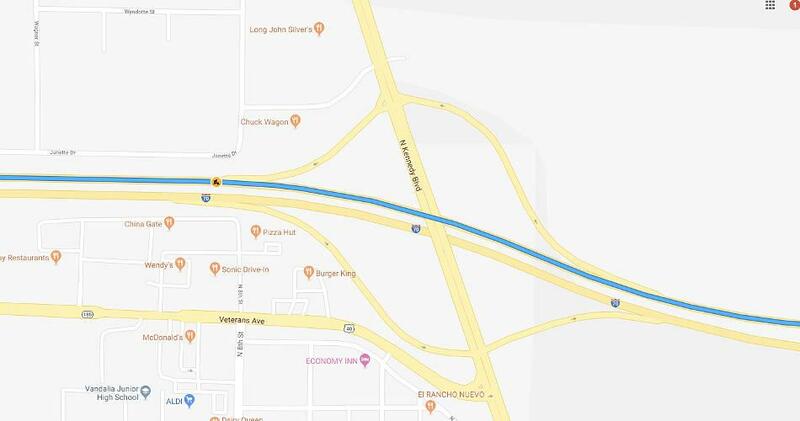 We just follow up on the map - just zoom out here a little bit and it intersects with interstate 57 running north-south because it's an odd-numbered interstate. You know, maybe you don't want to go to the truck stop or what not. You could also go to the Walmart, which is there. You can also see--if you zoom in a little bit more-- Buffalo Wild Wings, the Cracker Barrel Old Country Store, and the Firefly Grill. All of those are different places that you could potentially stop, if you did stop in Effingham. And this time that Google gives you--three hours and 41 minutes is obviously under ideal circumstances. If you hit traffic or whatnot that time is going to be longer, so you want to kind of time your route when you leave because if you leave you know four o'clock in the afternoon, you're either going to be in traffic in St. Louis, Missouri. Or say for example, you left at noon and ended up in Indianapolis four hours later--four o'clock... say 4:30, 5 clock. Again you're going to be in traffic in Indianapolis. So you want to sort of think about what time you going to leave so you don't end up in traffic. When planning a route, always use a minimum of 2 sources - online maps and your phone. If it doubt, call your destination for directions. Now again, when you get into Indianapolis you can see here and if you click down here on the route here and go down to what it is it says - take exit #79A. So you're going to go across the state line and once you go across the state line you've got 79 miles from the state line into Indiana. And you're looking for exit 79A. So 79 miles... that's going to take you an hour and a half - almost 90 minutes to drive that far, but that's the exit that you're looking for and you can see here that around Indianapolis is the ring road I-465. And you know it's a ring road because it's an even number three digit. And you just stay on Interstate 70 - take Exit #70A, and you get off at that exit and then you can follow the directions here at the bottom--f you click on that--onto the secondary roads that you will take to get home to 1131 Shelby Street. So that's an overview of Google Maps and how you can use the information to move from point A to point B. And again, as I said - take note of the mile markers because the mile markers and the exit numbers are one in the same and that will help you navigate from point A to point B on the interstates. Just one last note here: you can see that there are several junctions here interstate 70 intersects with interstate 55 and with interstate 57. 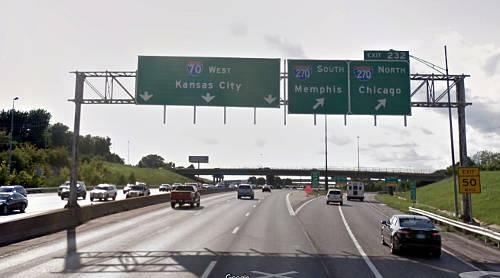 And again, just take note of the mile marker numbers at those junctions and when you get there, just make sure that you stay under the arrows that keep you on Interstate 70 eastbound. And when you get in those lanes, just get underneath the sign with the arrow on it and you'll be fine. You'll just stay on Interstate 70 and continue east. 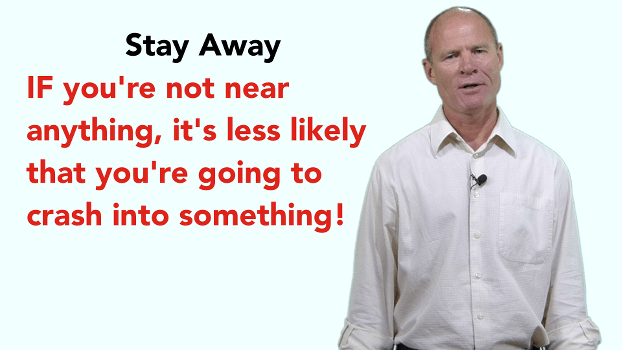 Quick review of navigating along freeways, interstates or limited access highways. Route planning: take a bit of time to work with your GPS or to work with Google maps and write out some of the information, especially the exit numbers. That way, it's going to help you to get off at the very specific exit that you need to get off; or where the junction is for the interstate to transition into another interstate; or get off onto the state road or provincial road or wherever that is that you're going. So mile markers are your first and foremost tool. As well. route planning, which is the preparation before you actually get out and start leaving - take a bit of time to do your route planning. As well, if you do your route planning--you don't just get off the interstate or freeway somewhere to take a break--you can actually get off and take in some of the local attractions and eat your lunch or your meal or whatever. So take a bit of time and do your route planning. 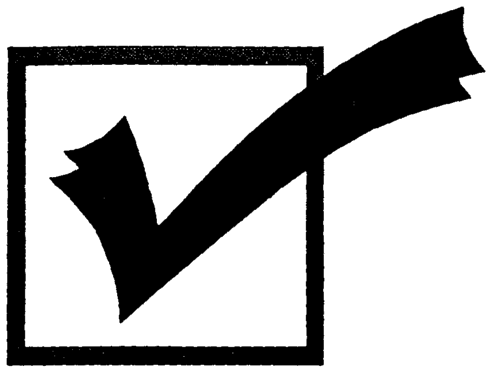 Mile markers - mile markers are also the exit numbers and they will help you with defensive driving and it is important that you do defensive driving on freeways and not make aggressive movements, especially in terms of lane changes because that could potentially get you into some trouble. And as well, make sure that you get into the lane that you need to be into as soon as the signboards over top of the freeway indicate that you need to get into that lane. Because if you don't get into that lane right away and get under the arrow that tells you the information that you need in order to make the transition wherever that is that you're going, you're going end up off the freeway or interstate into someplace that you really don't want to go. And it's always kind of a hassle to get back to where you want to go and you're going to lose time and those types of things. And yes, in this day and age the GPS is going to reroute you, but it's still a pain. And if you do a bit of work prior to actually getting onto the freeway with your Google maps or GPS or whatnot, it's going to help you out and make your ride less eventful, with less adventures and excitement, and those types of things. If you don't mind a bit of excitement, you know, by all means you can negate the route planning, but I do suggest that you do route planning. Certain characteristics in the United States: odd-numbered interstates run north-south, even-numbered interstates run east-west, and three digit numbers are going to be ring roads, spur roads, circumferential roads... there i said it perfectly that time. So that's the interstate system in the United States. Mile markers - route planning, do all of that. Do you have any tips for new drivers learning how to navigate along freeways, interstates, or limited access highways? Leave a comment down in the comment section there. All that helps out the new drivers learning how to drive after getting their license. I'm Rick with Smart Drive Test - thanks very much for watching. If you like what you see here share, subscribe, or leave a comment down in the comment section. As well, hit that thumbs up button. Check out all the videos here on the channel if you're working towards getting your license or starting your career as a truck or bus driver - lots of great information here and over my website. Head over there as well for more great information. Stick around to the end of the video - funny bits and links to the other videos and to my website. Thanks again for watching. Good luck on your road test. And remember, pick the best answer not necessarily the right answer. Have a great day. Bye now.